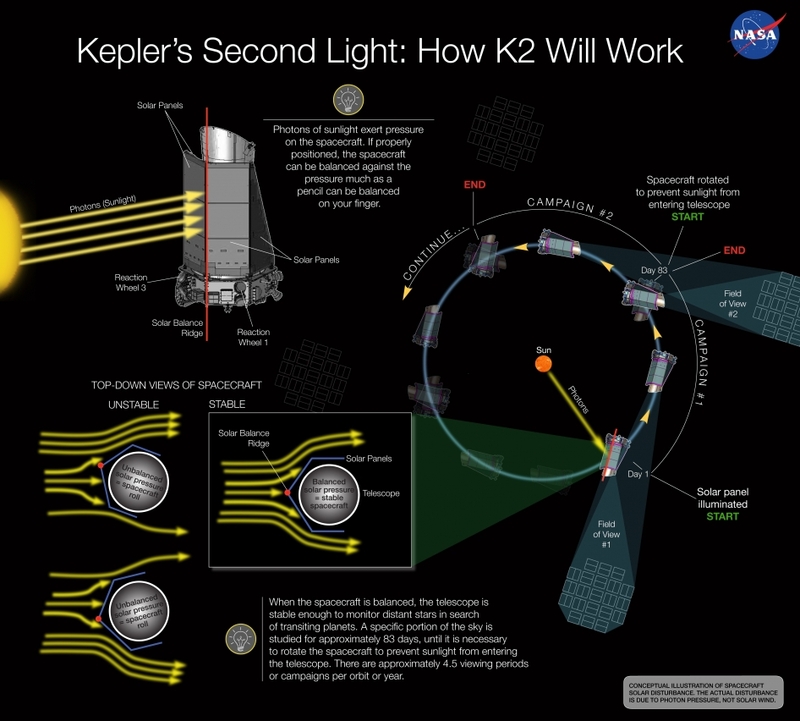 Based on a recommendation from NASA’s 2014 Senior Review of its operating missions, the planet hunting Kepler space telescope has received a two-year extension to operate in a new two-wheel mode. 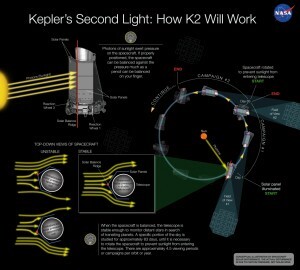 The approval allows the K2 mission to continue exoplanet discovery using two of its four original reaction wheels, and introduces new opportunities to observe notable star clusters, young and old stars, active galaxies and supernovae. Since Kepler launched in March 2009, a team of 20 University of Colorado students and 16 LASP professionals have controlled the spacecraft from the LASP Mission Operations Center. Under the extended mission, LASP will continue to provide students with hands-on spacecraft mission operations experience. The LASP operations team has been instrumental in conducting verification demonstrations of the novel K2 approach, which will use photon pressure from sunlight to maintain stability for long time-series observations. The original Kepler mission conducted a survey of approximately 150,000 stars in the Milky Way galaxy for Earth-sized planets with the potential to support life. To date, the Kepler Science Team has confirmed 962 planets and has identified nearly 4,000 others as planet candidates, awaiting validation.